Tonight's the night - TV might have candidates back to back, but we have them all together answering your questions! The Hustings begins at 8pm, doors open 7.30pm - judging by previous Hustings in the Borough we suggest arriving early to get a seat. Our main questions have been collated from those we have received and passed onto the candidates. The broad topics are: Education, Constitution, Welfare & Employment, and Foreign & International Affairs. They look like a great set of questions - thank you for submitting them - and should provoke interesting responses from our panel. We're still looking for your questions to put before the local candidates at the Broxbourne Hustings. Post them on the Hustings Page on this site or on the Facebook page! Coming up soon we have two big events. On 30th April we're hosting a Hustings ahead of this year's General Election. 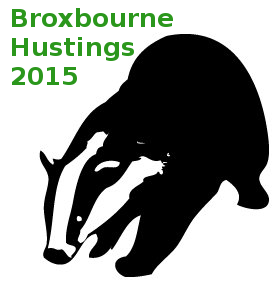 For further information either visit the Broxbourne Hustings page on this site or its Facebook page. 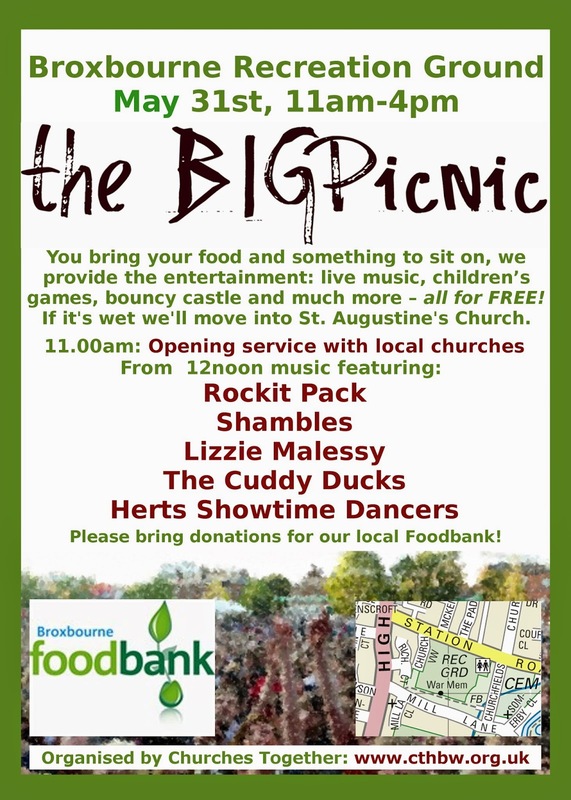 Then on the 31st May we have the return of the BIGPicnic. Details for this will follow soon, but for now see last's year's details to give you a flavour of what to expect.